Clever Hans was a horse. He lived in the early 1900s, had an article written about him in the New York Times (“Berlin’s Wonderful Horse: He Can Do Almost Everything but Talk“), and has a scientific phenomenon named after him: the Clever Hans Effect. Why was Hans clever? He could do math – even fractions! He could tell time! He could use a calendar! He could recognize currency! He could tell the difference between musical tones! He could identify people from photographs! He could not only understand German but read and spell it! Basically, clever Hans was smarter than your Honor Roll student. And he was a horse. Many animals are highly intelligent. For example, I have no doubt that psychologist Irene Pepperberg’s late, great African Grey Parrot Alex could have performed most of clever Hans’ tasks. But, sad to say, clever Hans was a fraud. How did he do it? He was clever – but not in the way everyone thought. Hans wasn’t clever at math or time or spelling; he was clever at reading subtle social cues. Hans indicated his answers by tapping his right front hoof the correct number of times. Before he had tapped the correct number of times, his questioner would show small signs of tension, in suspense over whether Hans would stop tapping too early. When Hans reached the correct number of taps, that tension would evaporate, and the questioner’s attitude would subtly change. 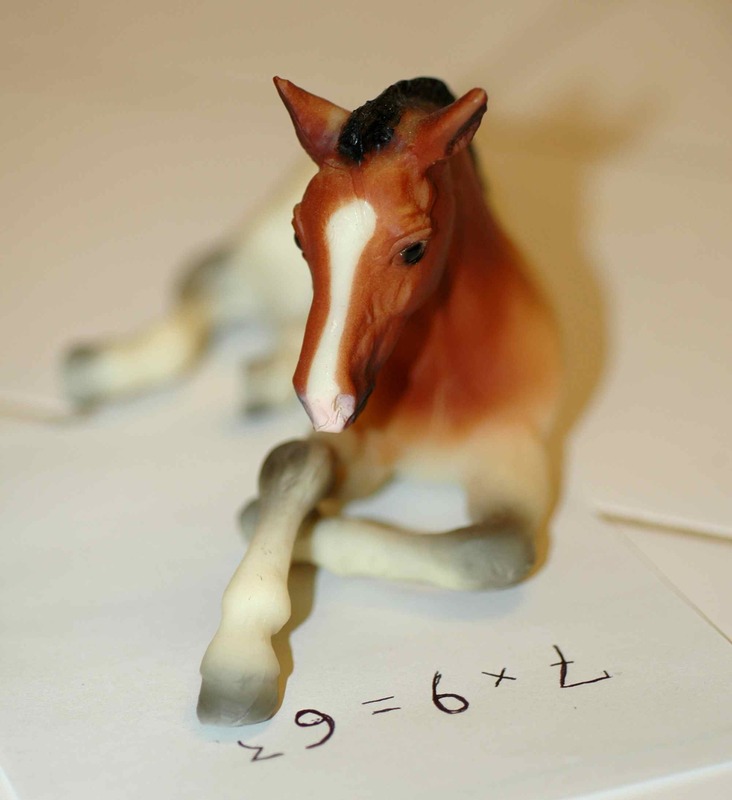 Hans had learned – thanks to his owner, who fed him treats when he gave the correct answer, thinking of course that he was he was teaching the horse math, spelling etc. – to recognize these signals, and to stop tapping his hoof when his questioner’s tension was replaced with satisfaction. Hans could not answer questions correctly if he was blindfolded. He also could not answer correctly if his questioner did not know the correct answer: the questioner was then unable to give cues, and Hans was stumped. The Clever Hans Effect occurs when a researcher’s knowledge affects the outcome of an experiment. Hans’ questioner’s knowledge allowed him to correctly divide three into seven without ever knowing what he was being asked. It is an important problem in science because many of the cues involved are involuntary: researchers cannot simply resolve not to affect their experiment, because they will give the cues anyway. The solution is to avoid subjects having contact with anyone with that dangerous, experiment-ruining knowledge: give Hans an ignorant questioner. This is why medical trials are done “blind”. If the medical personnel collecting data on patients do not know whether the patient has been given the new medication or a placebo, then they cannot unconsciously influence the patient. This is also why most studies of animal cognition involve automated reward systems instead of people. If you want to know how close two shades of green have to be before a starling cannot distinguish them, for example, it’s better to isolate the bird in a box where if he pecks at the darker shade a treat falls down the treat chute than it is to present him with the two shades and feed him the treat yourself. There are problems with this, though. Many animals behave differently in a social setting than they do when faced only with a box or a computer. One of the challenges of studying animal behavior is figuring out how to balance the biases of the clever Hans effect and of missing the social influence. This entry was posted in general science-y stuff, think like a scientist and tagged clever Hans, science by toughlittlebirds. Bookmark the permalink. I’d never heard of this horse, but thanks for the elucidation of the concept. I feel just a wee bit smarter whenever I’ve read one of your posts! Haha thanks Green Study! That’s a wonderful thing to hear! I have a fuzzy memory of a horse that could do simple math. It wasn’t Clever Hans though. I am not that old :-). It was somewhere in Iowa, perhaps at a fair or a carnival. Cool! I wonder if it was a clever Hans situation or if the horse was really doing math? I would expect horses to have some basic grasp of numbers, being herd animals. Presumably the stallions need to be able to notice when their herd of five mares is suddenly a herd of four. Thanks! I agree, it’s amazing that they can pick up on such subtle signals.